Michelin Clio Cup Series debutantes set to join new-for-2019 Sport Series with returnee Peter Bennett, Neal Foster and Simon Harrison. Trio set to get behind the wheel of three third-generation Clio X85s in pursuit of inaugural class title. Michelin Clio Cup Series newcomers FOZ Motorsport have become the first to commit to the new-for-2019 Sport Series with a trio of third-generation Clio X85 cars. The Buckinghamshire-based outfit – backed by Smarter Energy IoT and Hillstone Loadbanks - will field Neal Foster, Simon Harrison and championship returnee Peter Bennett in pursuit of the inaugural class crown. 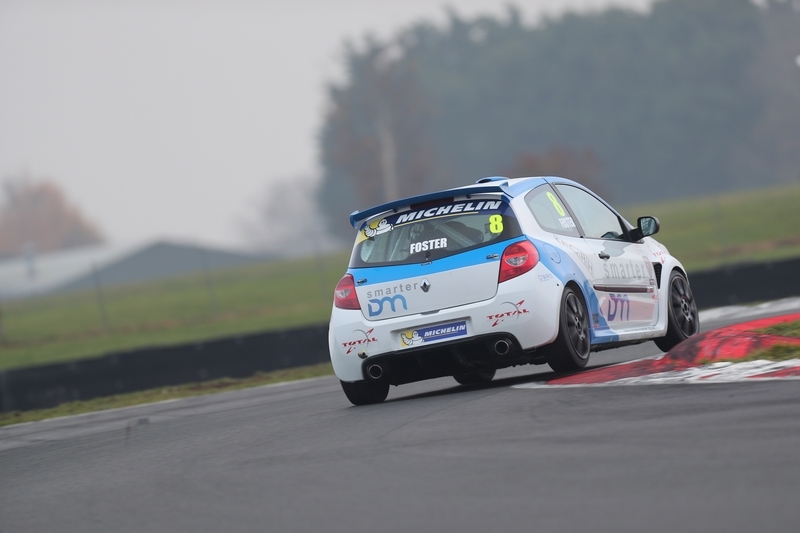 Foster arrives in the category with an enviable record off the back of a strong campaign in the MSVR All-Comers series, claiming four podiums in total at Brands Hatch and Rockingham, whilst Bennett is no stranger to the series having competed in the Race Series between 2013-15, claiming one podium. A distinguished club motorsport career has seen Harrison sample the likes of Formula Ford, national rally categories and Hillclimb. “It’s fantastic to be a part of the brand-new Sport Series for 2019, and the entire team is looking forward to joining the Michelin Clio Cup Series grid,” commented Foster. “We’ve been keeping tabs on the championship for some time now, and it’s clear to see with the new class structure and tweaks for this season it’s going places. His new team-mates Bennett and Harrison echoed his sentiments. “It’s great to be returning to the Michelin Clio Cup Series after a few years away,” added Bennett. “Everyone at FOZ Motorsport has worked tirelessly to get this programme off the ground and on the grid – now it’s time to go out and secure the best results possible,” commented Harrison. Inaugurated in 2014, the Michelin Clio Cup Series has garnered a reputation for providing cost-effective, action-packed racing on a competitive and instructive platform. Designed to cater to rising stars and casual racers alike, the series has provided a springboard for alumni including McLaren GT4 racer James Dorlin, BTCC racers Brett Smith and Ollie Pidgley and Renault UK Clio Cup racers Anton Spires and Ben Colburn. Reigning Champion Ben Palmer has become the latest to join that list after agreeing a deal to race in the MINI CHALLENGE JCW for 2019. The seven-event 2019 calendar sees the championship tackle some of the UK’s most-renowned venues and a first overseas trip to Zandvoort, before concluding at Oulton Park in October.